﻿ Tar Hollow State Park - Ohio. Find It Here. Twisting park and forest roads pass through 604 acres of deep ravines and dense woodlands. Scattered shortleaf and pitch pines growing on the ridges were once a source of pine tar for early settlers, hence the name Tar Hollow. Dogwoods, redbuds and a variety of wildflowers color the hillsides in the springtime. Fall's pageant of color is spectacular. 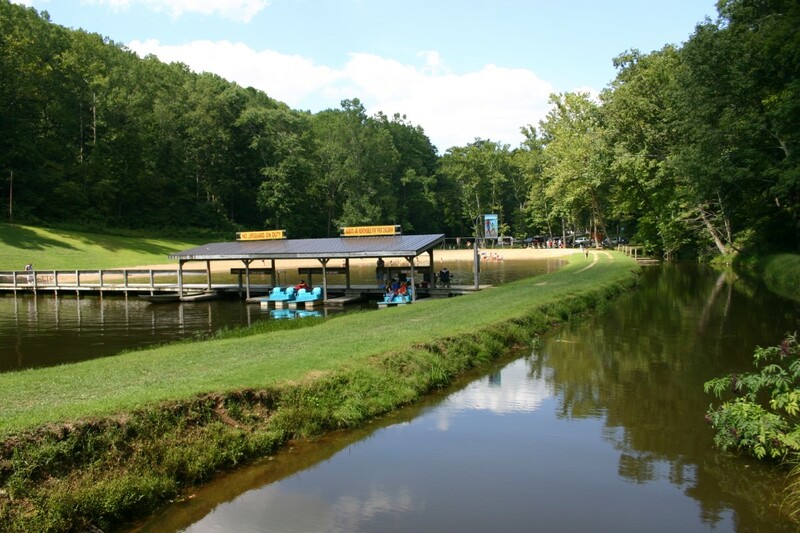 Tar Hollow offers a range of moderate to difficult hiking trails, along with boating, fishing, hunting, and swimming areas.